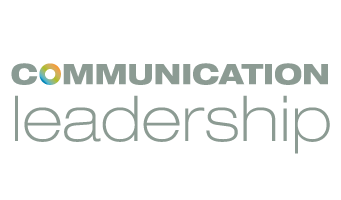 Last year the Communication Leadership program inaugurated its Fellows Program. Based on feedback and ideas from students it was agreed that we needed to better leverage the talent and skills of MCDM’s (as it was known then) past students – as well as build a more connected community of students, faculty and alumni. The inaugural group of Fellows have now passed the baton to a new crew for the 2013-14 academic year – and we would like to introduce ourselves. We are Amy Rolph (Cohort 9), Dacia Saenz (Cohort 11), Dan Thornton (Cohort 10), Jon Hickey (Cohort 9), Katherine Turner (Cohort 9) and Patrick Doherty (Cohort 11). Amy Rainey (Cohort 9) is returning from last year’s Fellows to act as program co-ordinator and keep us on track. We come from a diverse set of backgrounds and cohorts our hope is to be advocates for the student and alumni experience by encouraging and facilitating a connected Comm Lead community that enhances learning, networking and professional opportunities. One of the important ways we will do this is by running skill-based workshops throughout the academic year. We are kicking these off in a couple of weeks to help the new Cohort 13 start their MCDM or MCNN experience. It’s a kind of “basic training” on some of the skills we think will be most important to the freshly minted student – Social Media 101, WordPress 101, Effective Communications Skills and The Insider’s Guide to Comm Lead: How to Get the Most Out of the Program. You can signup on the Fellows Workshop page. As Fellows we feel especially lucky to be able to immerse ourselves in the program once again. I for one am very keen to help build a stronger and more connected community of students and alumni in order to enhance our professional opportunities and careers. We have an amazing network of talent that is connected into some of the most exciting businesses, organizations and ideas on the planet. We would be crazy not to make the most of it! If you take a look through our bios you will see some pretty varied backgrounds and areas where we think we can help. So feel free to reach out to us for advice or guidance about the program or if you would like to be connected to other people in the network. We are also here to advocate on student’s behalf – so feel free to vent your frustrations or heap on the praise about your Comm Lead experience and we will help you be heard in the halls of power. All 6 of us are looking forward to a great year where we are seeing the program morph and change with the world around it. The Fellows is still in its own budding stages – so we encourage you to connect with us and help us all define what its future will look like.